This semi-private small group tour is the perfect fit for families and couples. Including hotel pick up and drop off you will stop at the magnificent Hoover Dam, the amazing 900 year old Joshua Tree Forest, Eagle Point at Grand Canyon West, Guano Point, a wonderful picnic lunch at the rim of the canyon and then a fun visit to the Hualapai Western Town and Ranch. This is the most beautiful, historical and visually intoxicating experience you will ever have! On your way to the Grand Canyon's West Rim, you will stop and learn all about the magnificent Hoover Dam and enjoy a million dollar view! Continuing on, you will drive through the incredible 900 year old Joshua Tree Forest and at the Grand Canyon, visit the magnificent lookouts of Eagle Point and Guano Point. 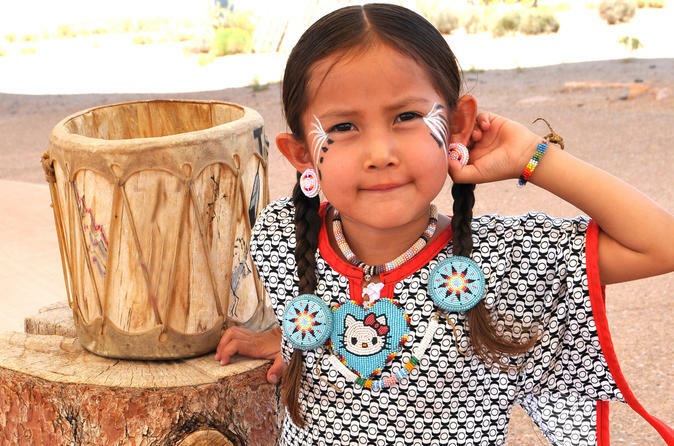 Here, you will have approximately 4 hours to explore the most beautiful natural locations at the rim of the Grand Canyon and watch displays of the native Hualapai Indian dance and see many Native American dwellings. Finally, you will visit Hualapai Ranch and Western Town before you head back to the bright lights of Las Vegas. This is the "family outing" of a lifetime!